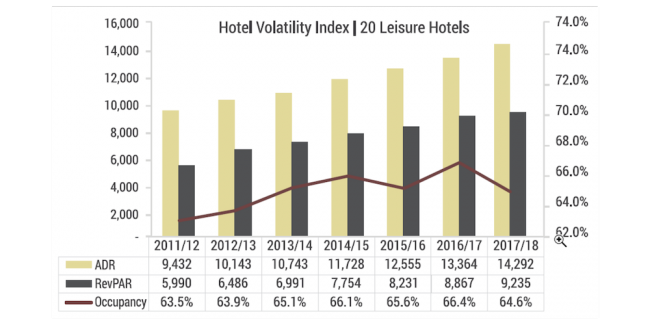 Last year, we launched The Hotel Volatility Index (HVI) that tracks the performance of 80 well-established, stabilised hotels – 60 urban and 20 leisure properties – across positioning that have been operational since 2011 or earlier in the country. 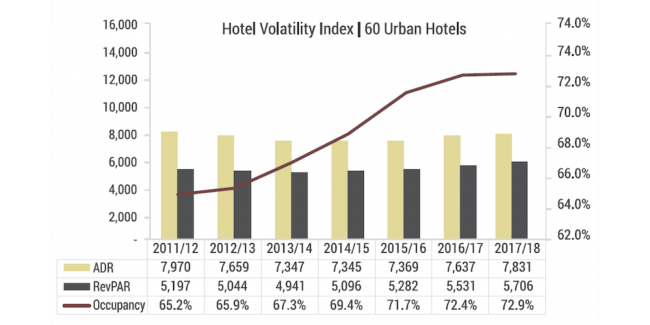 Together, these 80 hotels represent nearly 17,000 rooms in 21 different cities in India. 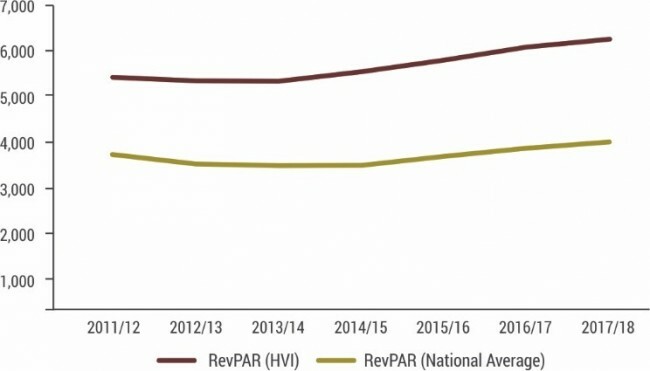 The HVI provides a reliable performance benchmark, as it enables a like-to-like comparison of the same base of stabilized hotels year-on-year, irrespective of the new supply coming in. An improvement or a decline in the performance of the HVI can thus, serve as an important indicator of whether demand is robust or flattening out. 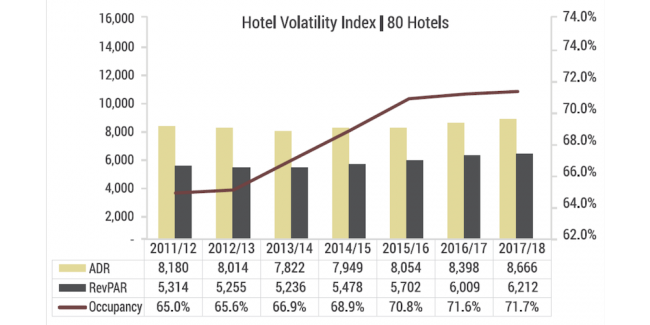 Figure 01, below, illustrates the occupancy, average rate and RevPAR performance of the 80 hotels between 2011/12 and 2017/18, further categorized by location.